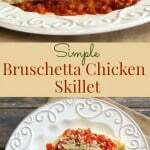 Prepare this Simple Bruschetta Chicken Skillet in under 30 minutes for a delicious, easy weeknight meal! When it comes to dinner, it’s no secret that I’m always on the lookout for quick and easy but flavorful dinners I can make for my family. So when I received the Kroger MyMagazine the recipe for Bruschetta Chicken Skillet caught my eye. 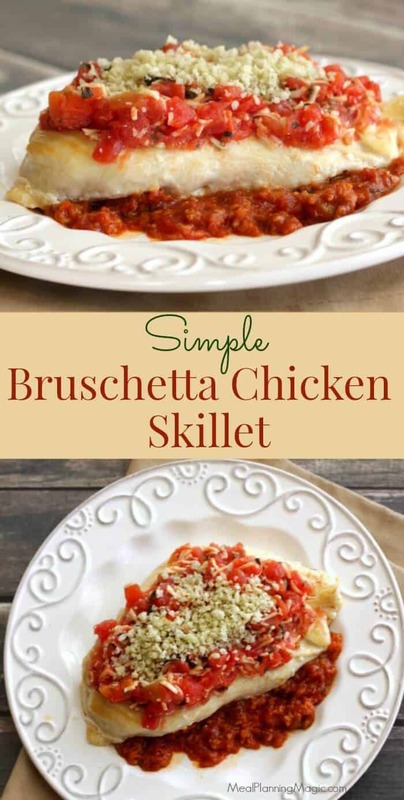 We had tried a Bruschetta Chicken recipe from Dream Dinners that we loved so I was hoping I could make this version at home and have another winning recipe to add to our dinner rotation. It’s a twist on the classic Italian flavors of traditional bruschetta. In making this recipe the first time, I found that I didn’t have all the ingredient (fresh basil) and that we liked it with a bit more sauce, so I tweaked it a bit for my family’s tastebuds. The original recipe called for crushed croutons but I don’t usually have those on hand. But I do often have breadcrumbs in my pantry so decided to try it in this recipe. The results were delicious and still so easy! Italian food is one of my favorites so I’m extra excited to have a new recipe in my collection. Y’all, you won’t believe how easy this dish is! I had it on the table in 30 minutes and my family loved this version which makes it a double winner in my book. I hope you’ll give it a try! In a medium bowl, stir together diced tomatoes, cheese and basil. Set aside. In small bowl, combine panko bread crumbs and parmesan cheese. Set aside. Pound chicken breasts to ½-inch thickness. I like to put the chicken in a resealable bag and use a meat mallet to pound the chicken for the least mess. If you don’t have a meat mallet, you can also use a rolling pin. In large skillet, heat olive oil over medium heat. Add chicken and saute 1-2 minutes on each side to sear and create a golden brown color. Remove from heat and set aside. Combine tomato sauce and garlic in skillet; add chicken. Top with tomato, cheese and basil mixture, pressing onto chicken. Bring sauce to boil over medium-high heat. Reduce heat to medium-low, cover and cook 15 minutes or until chicken has reached a safe internal temperature of 165°F. Top with breadcrumb cheese mixture just before serving. We like to serve this with a wild rice pilaf and garden salad. Today I’m joining my Sunday Supper friends again as we share our favorite Italian dishes! We love Italian food in our house so I’m excited to see all the creative recipes shared by my fellow food bloggers! I hope you’ll check out the recipes below from all the other bloggers! What a clever idea! I too love quick and easy recipes that make the whole family happy! Just like this one! Thanks Manu! It’s a perfect quick meal! Such a great flavor combo and so easy too! Perfect! Thanks Marion! The flavors are just right–hard to believe it is so easy to make! I love the idea of bruschetta flavors with chicken. Looks light and healthy too. Thanks Eileen! Yes, it’s is a really lean, healthy meal! I have some chicken breasts in my freezer as I type this so thank you for the idea! Your welcome! Let me know what you think of it if you try it! Mmm, I bet this would be great over fish too! Simple yet so good! My whole family would love this! Thanks Kristen! I hope you’ll give it a try! 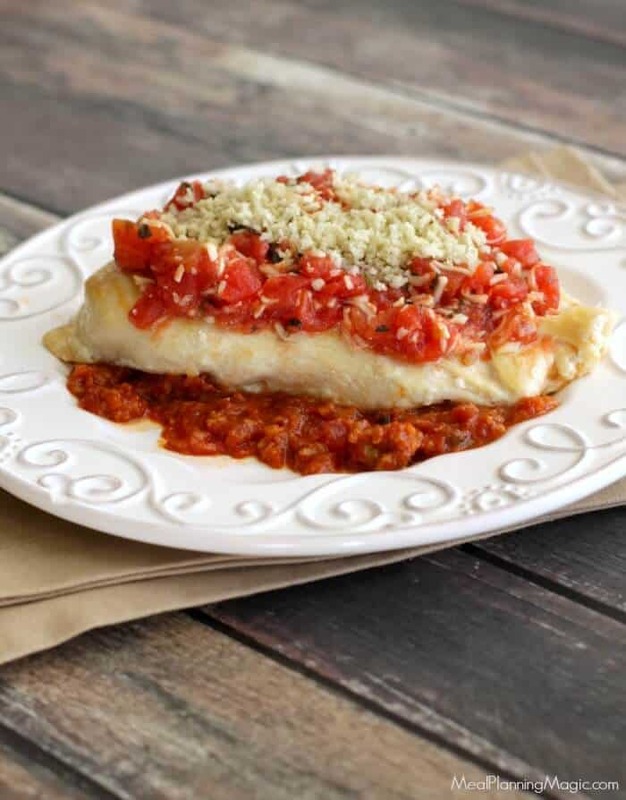 This looks like a quick and easy chicken parmesan and it looks delicious! 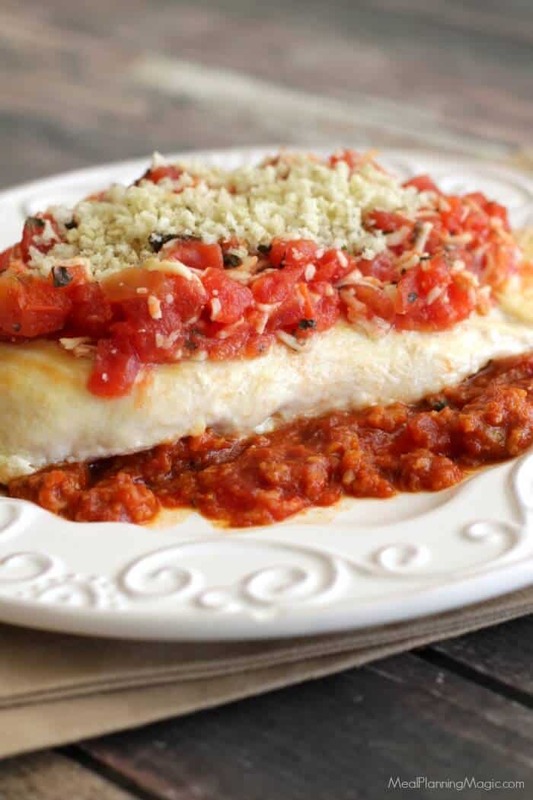 Yes, I guess it is a bit like a deconstructed chicken parmesan–it is delicious! This chicken looks like simple Italian food at its’ finest! Definitely a crowd pleaser. This is my first time participating in Sunday Supper and I’m loving all the fantastic recipes!! 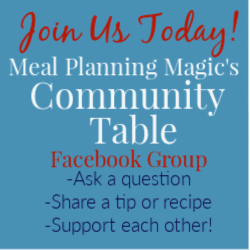 Glad you like the recipe and that you could join in the Sunday Supper Meaghan! I love me some bruschetta chicken. This recipe looks so delicious! I can’t wait to try it. Thanks Christie! I hope you like it. I like this so much because it is healthy and not drenched in cheese, but you still get that great italian dinner feel to it! Thanks Barrie! 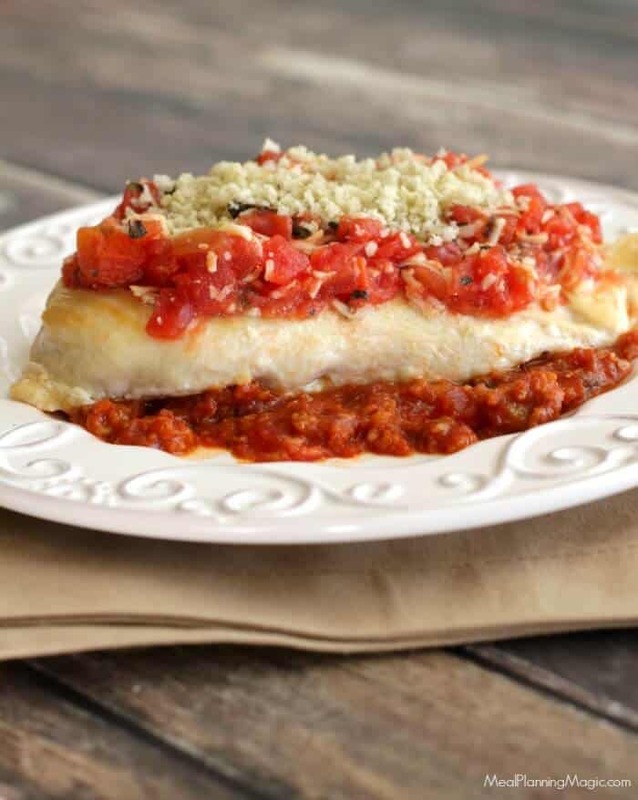 It has just enough cheese to give it some flavor but still a healthy Italian meal for sure!